U.S. Sen. John Cornyn predicted a new GOP health care overhaul would pass Congress by the end of July. WASHINGTON – U.S. Sen. John Cornyn predicted on Wednesday that congressional Republicans would soon repeal and replace President Obama's 2010 health care overhaul, despite skepticism from some of his colleagues that it will happen at all. 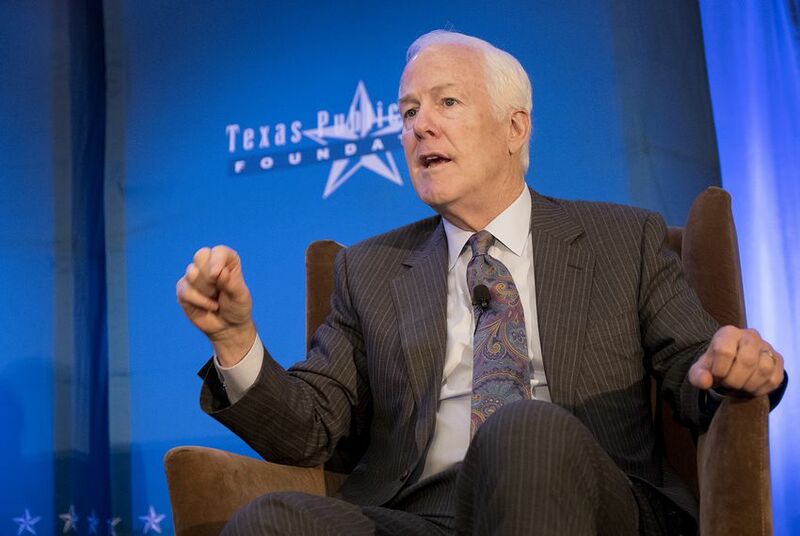 When asked on the Lubbock-based radio station KFYO about whether a health care overhaul bill would be sent to President Trump's desk before the August recess, Cornyn said, "Oh, absolutely. We’ll get it done by the end of July at the latest." Back in Washington, there are few who say they are certain on a time frame. Congress is also tackling a tax code overhaul, and the ongoing investigation into the 2016 Russian cyberattack on the United States continues to consume much of the political oxygen at the U.S. Capitol. Iowa's two U.S. Senators, Chuck Grassley and Joni Ernst, both Republicans, said this week that getting a repeal bill to President Trump seems unlikely, according to the Associated Press. But Cornyn's comments on health care carry much sway: He is the second-ranking Republican in the Senate. The House passed a repeal-and-replace bill earlier this month, but that legislation so far appears incompatible with what can pass the Senate. Earlier this year, Cornyn made another similar — and unsuccessful — projection, when he told reporters he expected a repeal and replace bill to pass by the Easter recess. They were less successful in passing the bill in their first attempt in March. Correction: An earlier version of this story misspelled the name of the radio station that interviewed U.S. Sen. John Cornyn.